Roughly 50% of your happiness is determined by your genetic predisposition report Behavioral Geneticist Lykken and Auke Tellegen. They arrived at this outcome by comparing fraternal and identical twins who were either reared-together or reared-apart. (Tellegen, A., Lykken, D., et. el, 1988, p.1035). If their finding holds true, gene manipulation seems like the most effective way to arrive at happiness rather than controlling our life circumstances or practicing happiness boosting activities. So is there really a happiness gene? 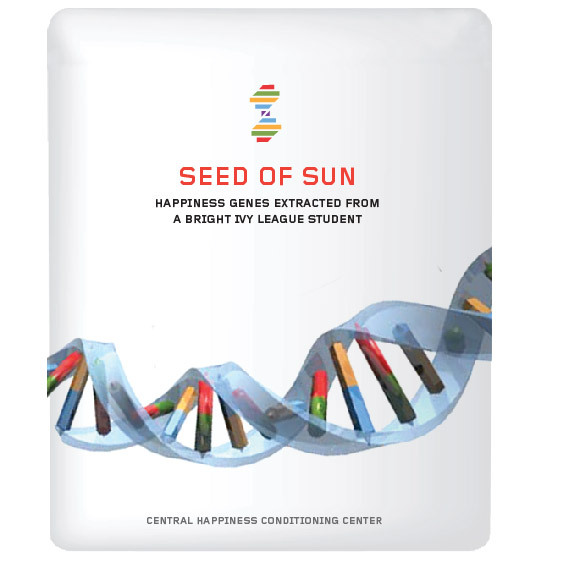 A trio of researchers from the University of Essex in Britain found a gene that looks like one of the happiness genes. The gene, known as 5-HTTLPR, controls transport of the mood-affecting neurotransmitter serotonin and it seems like length is the key variant. They tested 97 participants individually and showed them a series of slides, each containing a pair of both positive and negative images. The research found that people with the long variant of the 5-HTTLPR gene were significantly more drawn to positive material and repelled by negative ones. Obviously, this selective attention or protective bias does not ensure one’s happiness, but it increases a chance of achieving and maintaining positive emotional conditions. What if scientists find more genes like 5-HTTLPR and getting gene therapy becomes as popular as getting plastic surgery? Would you be interested in getting this therapy? The pursuit of happiness was declared as man’s unalienable right in the United States Declaration of Independence in 1776. Is it okay to leave every happiness seeking activity as individual choices? I personally feel some hesitation and unease at this opportunity. I am not sure whether sensitivity to negative events is necessarily a bad thing, something to purge out and eradicate. Severe depression needs to be cured, but general melancholic feelings and ability to feel sadness enrich our emotional experience and help us to have more realistic viewpoints. “I often wonder if America would be better off, would be a richer and deeper nation, if it took seriously Jung’s version of Jesus,” Professor Eric Wilson says in his book, “Against Happiness.” Rather than seeing negative and positive events as opposite things, Carl Gustav Jung, the great twentieth psychologists, saw Jesus’ sufferings and his illumination as mutually inclusive, interdependent manifestations of the same principle. It also seems that melancholic feelings or characteristics are the wellspring of creativity. Many artists, poets, musicians and writers including Jackson Pollock, Virginia Wolf, Mark Rothko and Kafka were melancholics. If they had received this happy gene therapy, we would not have been able to inherit some of the greatest work today.